The saree is traditional Indian attire that can be draped and worn in many different styles. Women from different regions of India each wear the garment in their own particular way, according to their tradition. Sarees can be draped in numerous ways and are made from a variety of fabrics, according to the ethnicity and traditions of the place it originates from. When it comes to dressing for special occasions, sarees are the go-to attire for Indian women. It adds grace and elegance to a woman’s look and, when accessorized well, can be a show stopping outfit. How does one choose the right accessories? Things can get tricky if you don’t have much experience wearing these draped outfits. 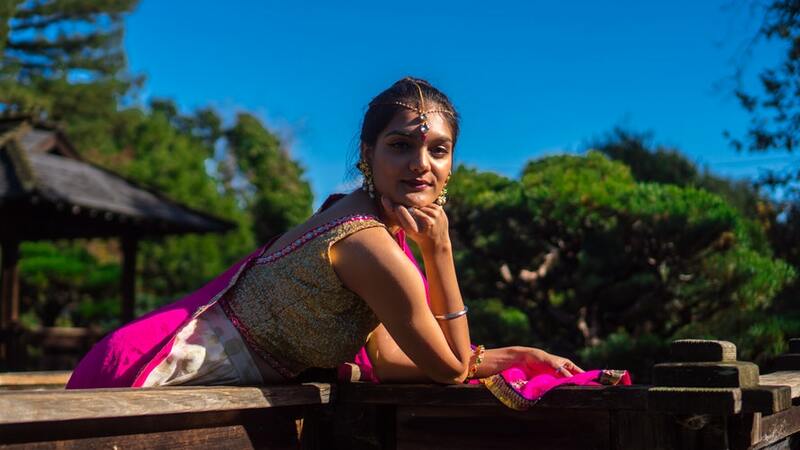 We break down the basics of choosing and accessorizing a saree so you can put together a look that stands out from the crowd at your next big event or party. One of the keys to looking good in a saree is to wear the right colour for your skin tone. A woman with a dusky complexion should try and opt for rich colours such as maroon, deep reds and greens or navy blue. Whereas if you have a very pale complexion, dark colours may look too stark against your skin so opt for pastel or lighter hues. Bright colours and prints look bold and eye-catching, suiting most complexions. Waist belts are bejeweled belts that are worn with sarees – they serve no practical purpose besides being decorative and accentuate the elegant curves from a woman’s waist to her hips. Wearing waist belts is an old tradition in India which is coming back into fashion. Gold and silver, ‘kamar’ belts are popular choices in the recent gold jewellery trends. If you are looking for something dazzling, try one of those belts with studded stones to add a bit of bling to your ensemble. 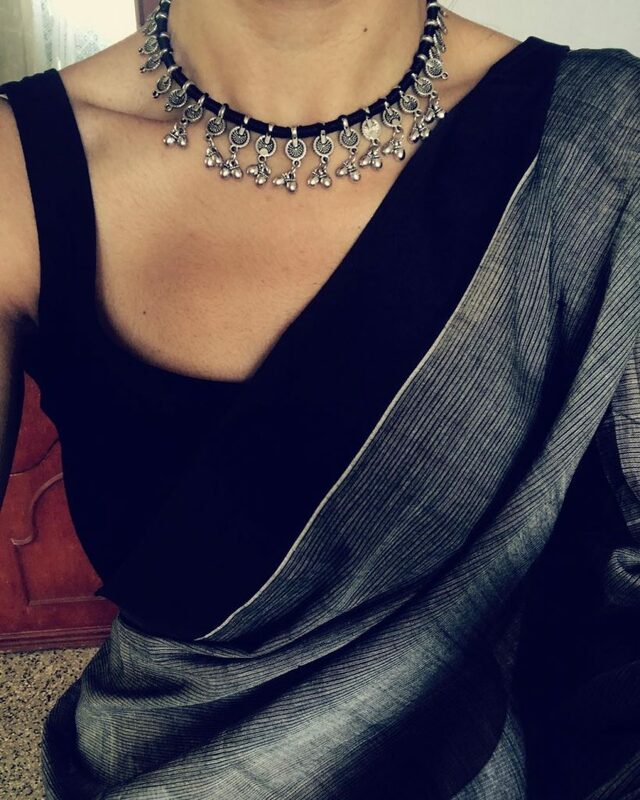 The key to looking good in a saree is accessorizing well. If you are going to a grand function like an Indian wedding, make sure you accessorize with a set of drop earrings and a statement necklace. If you are wearing a saree for a more casual event like a work or friend’s party, avoid wearing elaborate jewellery and a subtle necklace and small earrings. Choose a necklace that compliments the neckline of your saree blouse. Nose rings lend a wonderfully ethic edge to your Indian ensemble. Choose a large embellished ring or a tiny diamond stud, depending on what suits your face. If you don’t have a nose piercing, don’t worry, there are plenty of clip on options that look as beautiful as the real versions. A hand harness is a beautiful bracelet that attaches to your middle finger, adorning the outer side of your hand. These come in striking elaborate styles as well as beautiful and elegant simple designs. So you can decide which to wear according to the occasion and style of your outfit. You don’t want to overpower your elegant saree with a bulky handbag or, heaven forbid, a shoulder bag. Carry only essentials when you are out and about in your saree and choose a small clutch to house them. Matching statement Jewellery is a great choice to wear with a saree for a grand occasion. In India, the norm is to wear heavy jewellery sets with a saree for special occasions. Wearing a matched earrings, necklace and maang tikka set, with complementing bangles will give you an authentic look. In case you don’t want to splurge on a jewellery set, wearing jewels from the same family – pearls, gold, silver or diamonds – is also a great way to be stylishly coordinated. There are two benefits of wearing a brooch. One of them is that it holds the pallu (the fabric draped over your shoulder) in place and the other is that it ups the style quotient of your saree. You can use the brooch to organize the pleats of your pallu – crimping it neatly or make it look more flowy and natural. One of the great things about wearing a saree is that foot accessories do not look out of place. Wear pretty anklets and toe rings to bling up your feet. Choose elegant heeled sandals to ensure your accessories take center stage. Complete the traditional Indian look by wearing a bindi, which compliments any face shape adds a special something to your outfit. Choose a bindi shape according to your face shape. Those with oval faces can wear round bindis, while those with rounded or square faces will suit longer bindis better. From monotone to embellished and shimmering, there are bindis available to suit all kinds of occasions. So dress up your forehead according to the type of event you are going to. These are our top tips for styling your saree. Wearing Indian wear is fun and playful and can be a refreshing change to your usually wardrobe. The next time you have a party to go to, why not drape yourself in a stunning and flattering saree.